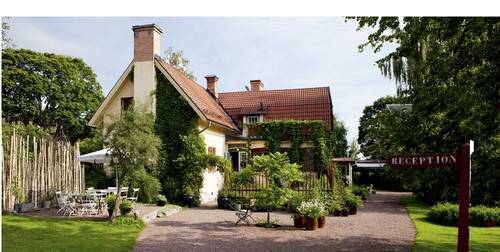 Dala-Floda Värdshus, the organic inn, is a small oasis in a genuine Västerdalarna village. Here it feels as though time has stood still and the body and soul are treated to an experience that is out-of-the-ordinary. This hotel, set in a gorgeous garden, is a wonderful place to visit when you want to take time out from the hectic pace of everyday life. Take a morning dip in nearby Lake Flosjön, a hike in the woods, or visit local artists, farm shops, a wool spinning mill – there’s always something to do and experience here. The inn has focus on sustainability and a KRAV certified kitchen because it uses organic ingredients. The Ersson family welcomes you to an altogether different experience.